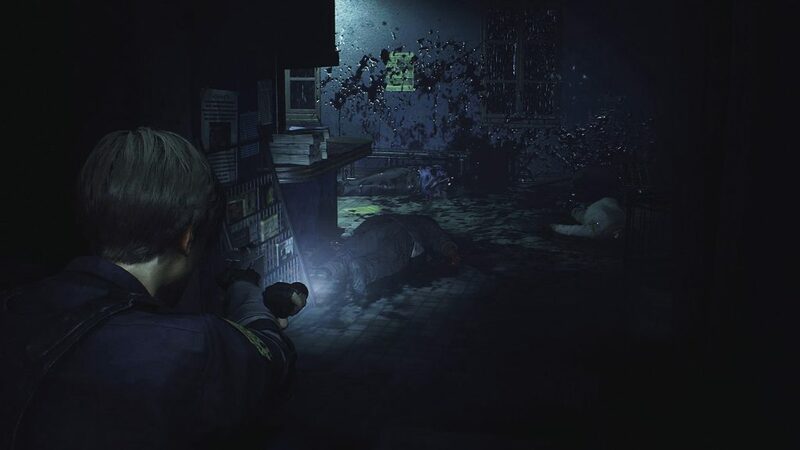 Dial locks are special padlocks in Resident Evil 2 Remake. They’re often used to keep desk drawers, lockers and other containers safe, but you’re meant to open them. Especially if you want the Master of Unlocking achievement, which requires you to get inside them all. Figuring out the combinations can be tedious – they’re almost always written somewhere, but if you don’t have the patience to scour every surface in the game for a clue, our Resident Evil 2 Remake dial lock combinations guide will show you all of them. Dial lock codes are always a combination of three letters. If you’re looking for safe combinations, you should check out our Resident Evil 2 Remake safe unlock puzzle solutions guide. There’s a desk in the eastern part of West Office in the police station, near the stairs. It has two dial locks – one on each side. The code for the one on the left is NED, while the one on the right opens after you enter MRG. Once you’ve opened it, you’ll find an inventory upgrade. There’s a locker in the shower room on the second floor of the police station that is locked with one of these padlocks. In order to open it, you’ll need to enter CAP. There’s just some ammo inside, so the usefulness of this one really depends on how well stocked on ammunition you are. Once you manage to get to the 3rd floor of the police station, you’ll find a locker near the staircase, locked with one of these annoying dial locks. Enter the code DCM to open it and get to the ammo cache inside. The last one isn’t in the police station. Instead, you’ll find it in the Control Room in the upper sewers. To get to the ammo hidden away inside, you’ll need to enter the code SZF.